A framework is basically a conceptual structure that aims to serve as a guide for the development of any web application. Since every programming language facilitates application development through their frameworks, so does PHP. PHP aka Hypertext Preprocessor is a scripting language for server-side applications and its frameworks are popularly used worldwide. Being an open-source programming language, almost 80% of web applications use PHP till date. The PHP frameworks come in a customized format to serve the different applications, experience, hosting capabilities. Keeping in mind all these factors which makes PHP so popular, we have curated a list of the best PHP frameworks which modern web developers should adopt in 2019. Laravel framework is definitely #1 PHP framework. 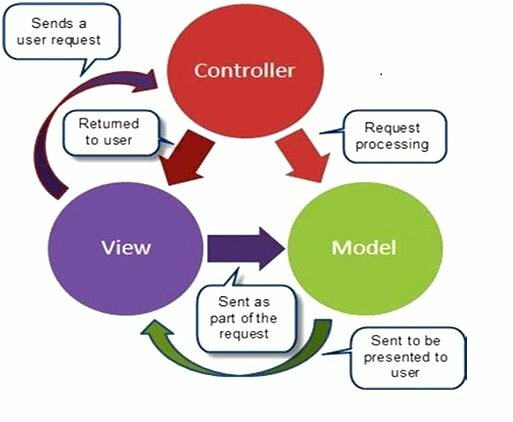 It is an inclusive framework which uses MVC architecture (Model, View, and Controller). It is responsible for maintaining the business logic and maintaining application data with the proper user interface and handling user requests. At present, it is the most preferred PHP framework with a big community of developers. Laravel features a number of packages such as lightweight Blade templating engine, ORM (Object Relational Mapping), RESTful (Representational State Transfer), a packaging system, controllers, etc. It also features queue management that handles tasks in the background and then logs all the activities during smooth front end tasks. It is soon to introduce a routing package also. Another best thing about Laravel is that it handles NoSQL structures such as Redis or MongoDB. Recently, it came out with an administration panel design- Nova. This feature would definitely facilitate the software developers who want to be more innovative and more productive. MVC architecture based PHP framework, Phalcon was built as an extension to C. This implies that it is very fast. It also uses fewer resources than any other platform which helps in translating the HTTP requests at a faster pace. It was developed in the year 2012, it includes packages such as ORM, caching, MVC, and auto-loading components. The latest release of Phalcon supports PHP7. It brings all the developers data storage tools- Object Document Mapping for MongoDB and its own SQL dialect-PHQL. Other major features include form builders, template engines, app development with all other international support, etc. Phalcon PHP framework is also best for developing performance REST APIs and completely functional web applications. An ideal framework for the beginners and for the rapid development of commercial web applications. Though it comes with many other packages to serve the basic requirements, the special scaffolding functionality speeds up the development process. MVC architecture facilitates the development process. The configuration makes the development even easier by evading the need for complicated XML, YAML configuration files. All these features make the development process faster. The security features prevent XSS, SQL, CSRF, Injection, etc. The Yii PHP framework stands for Yes, it is! Suitable for all kinds of web applications, it is a high-performance, component-based framework. It is also called as a universal web programming framework. It comes with the easy installation process and robust security features for developing highly secure web applications i.e. portals, forums, CMS, etc. It lets the developers to avoid writing complexities of repetitive SQL statements as data can be modeled in terms of objects. Symfony has been the best, stable, well documented, modular, and high-performance framework for almost a decade now. It was developed by French SensioLabs and is backed by them. It is a big name in the web development world. It is also used for development of REST APIs and web application. · Allows integration with other vendor libraries. Another ideal PHP framework for rapid web application development is Codeigniter. This framework can be installed without any special command and software. 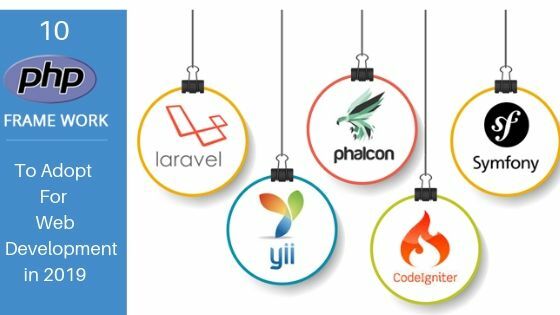 The full-fledged application development is easier with Codeigniter because of its numerous libraries can be used for unit testing, form validation, sessions, email, and much more! Also, if you can not find the libraries then you can build your own and share it further for other developers. It is backed by “The British Columbia Institute of Technology” which ensures its continued growth and development. 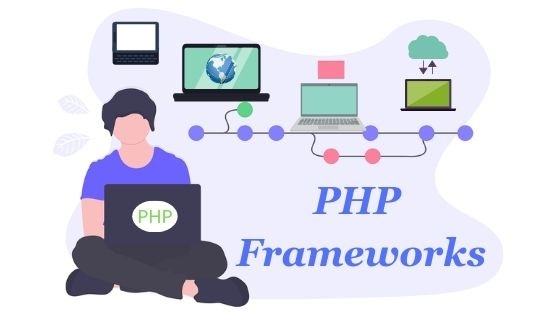 Zend PHP is a go-to professional framework which is commonly used for building high-performance commercial applications. This framework is configured with a lot of authentication, forms, feeds, and services. It is the most preferred framework for rapid development of enterprise applications. It also comes with tools and Zend IDE to the developers’ tasks even easier than before. Fuel PHP is a modern, modular, extensible, and MVC framework which is built in HMVC (Hierarchical Model View Controller). It features lightweight yet powerful ORM (Object Relational Mapping) support. It also features template parsing and powerful security tools. Its authentication framework. FuelPHP is fully object-oriented and can be developed actively because of its community driven nature. PHPixie was released in the year 2012, and it also implements the HMVC model like Fuel PHP. It was meant to create high-performance read-only websites. Easy to install, this framework is suitable for social networking websites, web app development services, and customized web applications. Also, it is to be noted that PHPixie has fewer modules and it lacks support for components that are made from the dependencies. Inspired by Ruby’s Sinatra, the slim framework is a micro-framework. It is best suited for developing RESTful APIs. This framework with its add-on features such as URL routing, handling, and HTTP caching. Also, it is very easy to install and work with. This framework is apt for the beginners. PHP being the most popular programming language for application development, it is being preferred by global web developers. PHP has many frameworks which one can use to build exceptional web applications. The above mentioned are the best PHP networks that can be adopted by web developers to ease out the app building process. Orion eSolutions is famous for its IT services and applications built in these popular frameworks. Check out their services in case you are looking for great web applications developed in PHP framework.